Welcome to Projector Lamps Canada! Projector Lamps Canada is the most professional low cost Canadian supplier of replacement lamps for multimedia projectors and DLP TVs. 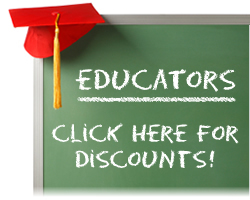 We're here to help our fellow Canadians SAVE MONEY on high quality replacement projector bulbs and TV lamps. Projector Lamps Canada is a CANADIAN projector lamp and TV lamp specialist. 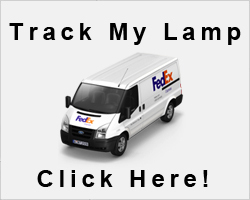 You can shop securely online and get the replacement lamp you need fast and hassle-free. If you're not a happy projector lamp shopper, then we're not a happy projector lamp supplier. When you buy a replacement lamp from Projector Lamps Canada we make sure you are satisfied with your purchase. 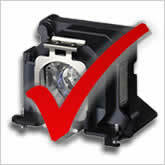 We offer a 120 DAY WARRANTY on every lamp - longer than any other projector lamp supplier. You can buy lamps from Projector Lamps Canada with confidence knowing that if something should go wrong you can return your lamp with NO HASSLE. Quite simply, we want you to be 100% satisfied with your replacement lamp purchase. Save money on replacement bulbs! At Projector Lamps Canada our goal is to be the best value source for replacement lamps in Canada, as well as providing a service that keeps our happy customers coming back whenever they need a new replacement lamp. A Projector Lamps Canada research team is dedicated to making sure the projector lamps and TV lamps we sell are at the lowest prices in Canada. Canadians should not have to pay shipping charges and import duties, face costly product returns and risk voiding projector or TV warranties by buying their lamps outside Canada. If you find a replacement lamp cheaper anywhere in Canada, we'll beat that price. Try us. 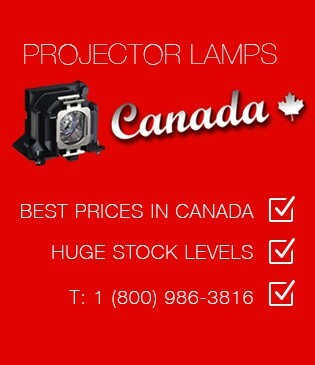 We are a Canadian projector lamp supplier you can rely on to save you money on replacement lamps and bulbs.